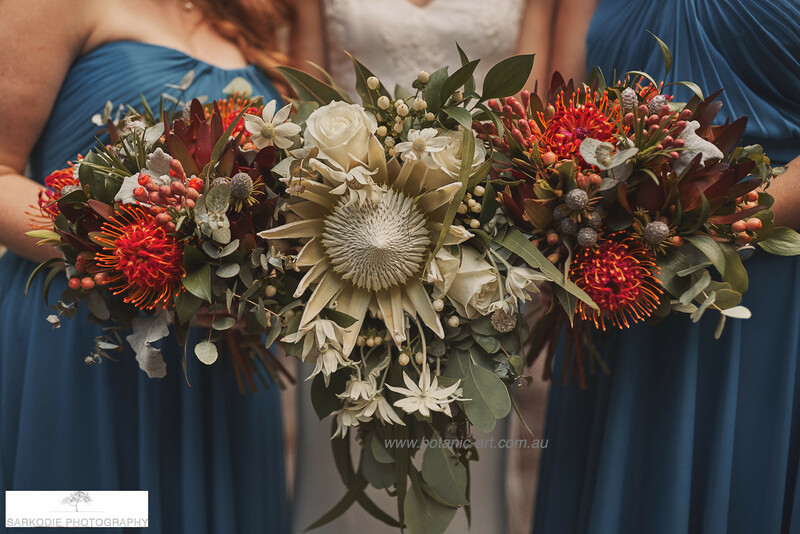 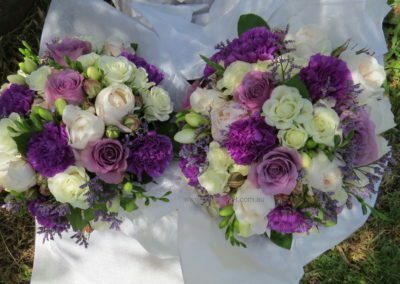 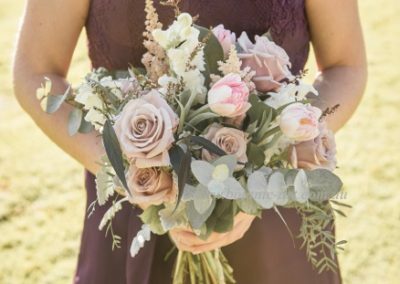 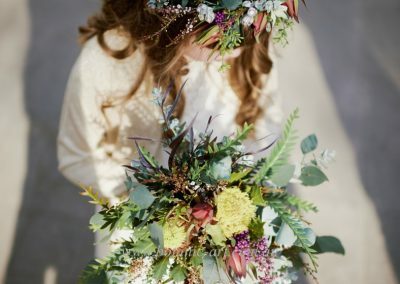 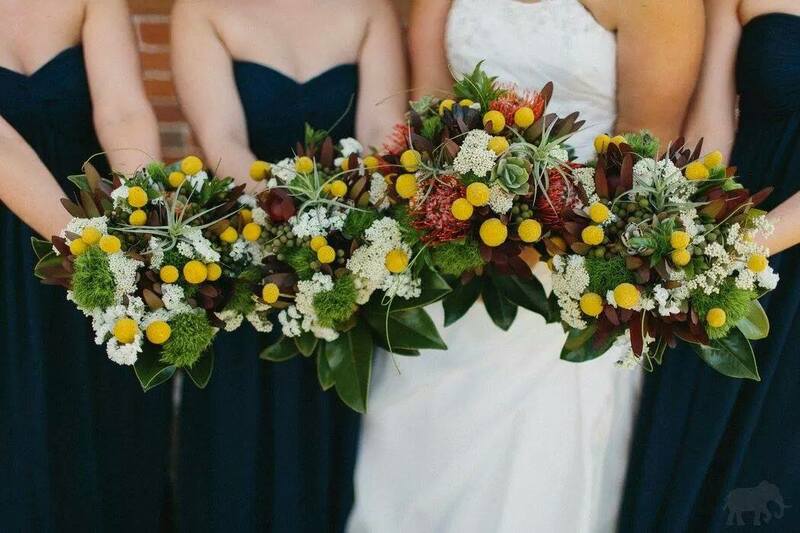 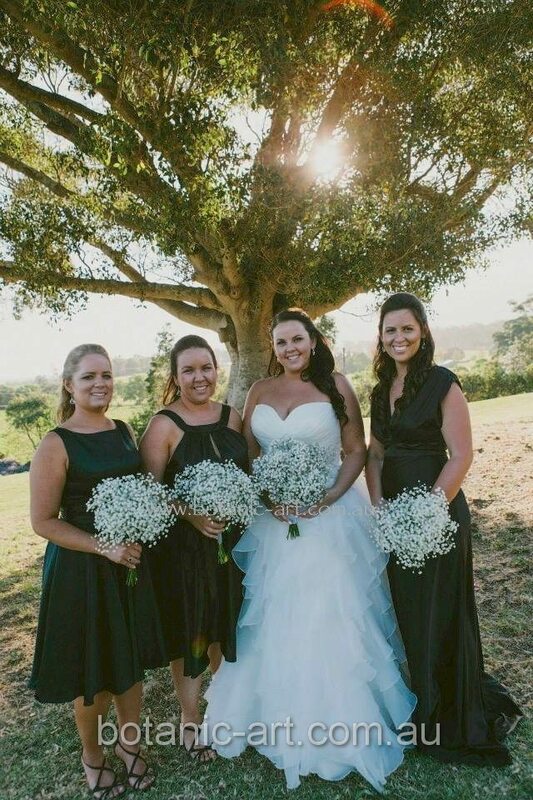 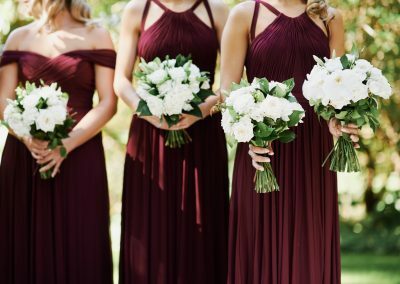 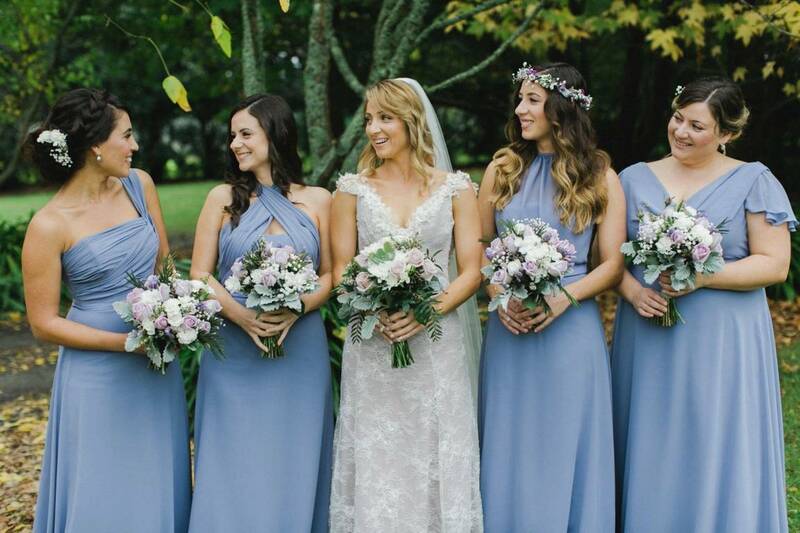 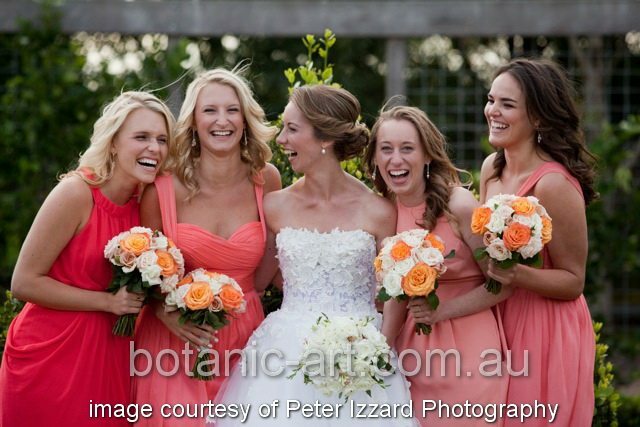 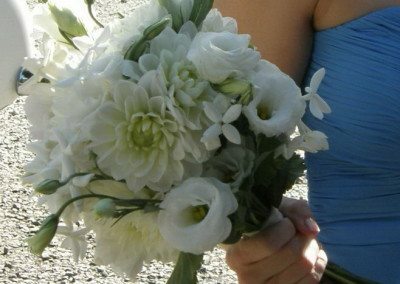 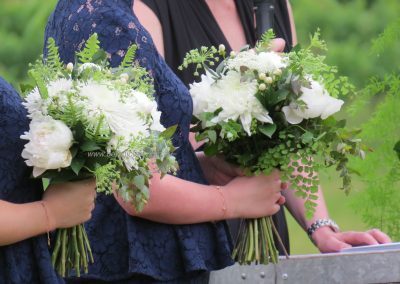 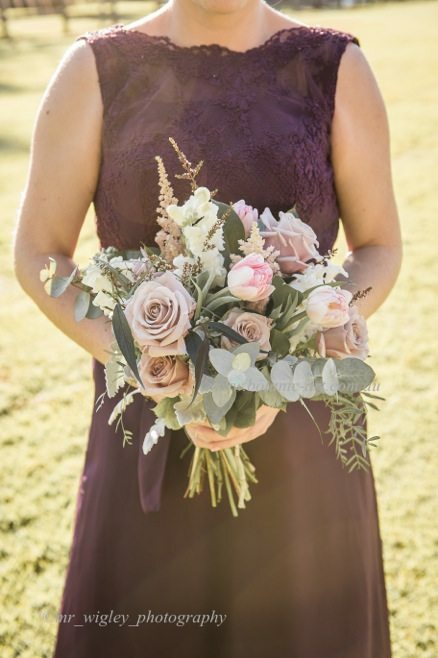 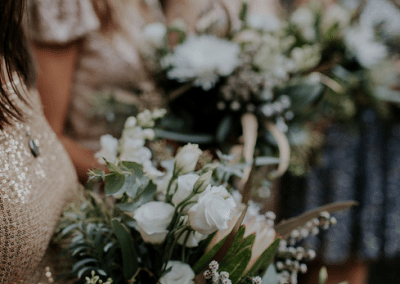 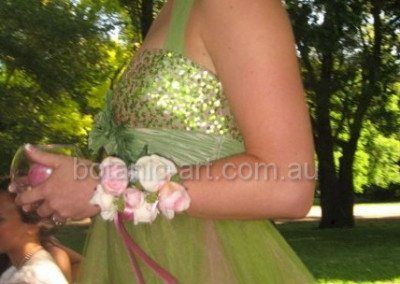 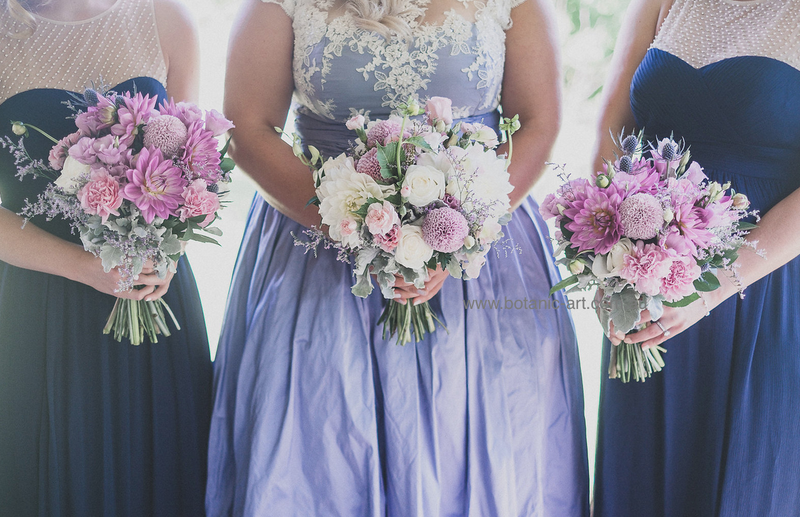 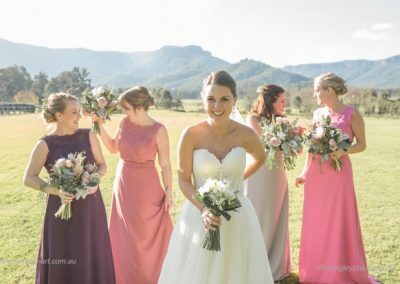 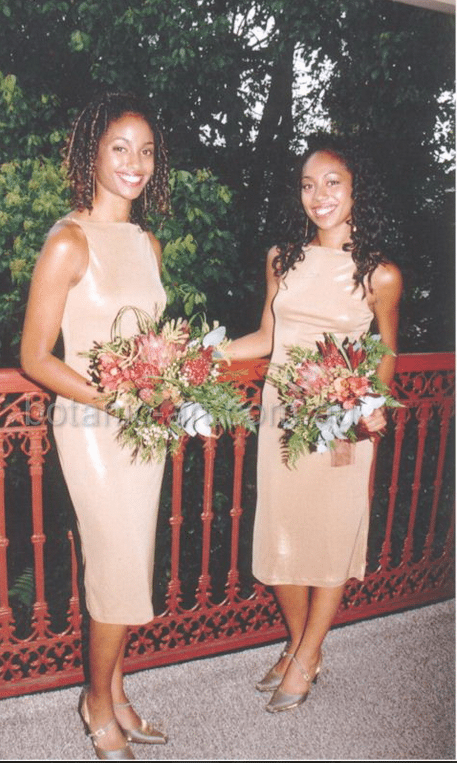 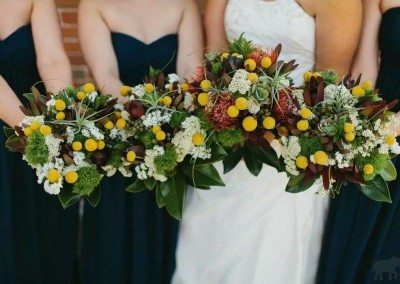 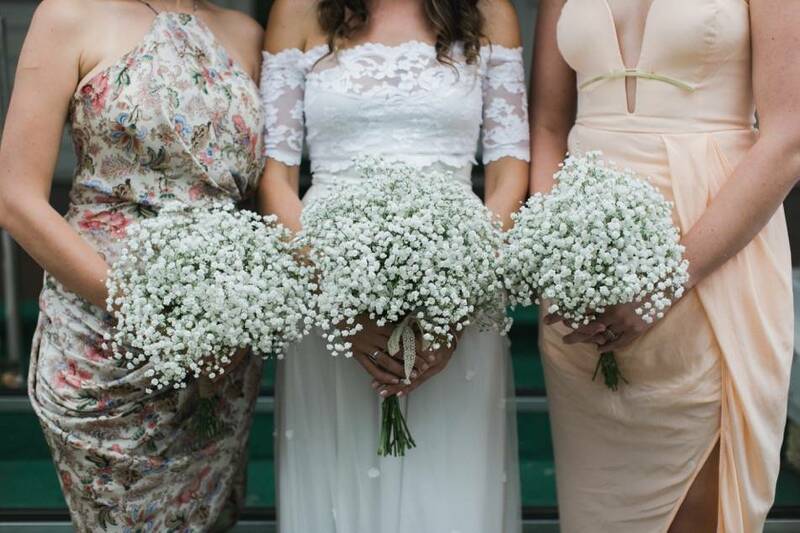 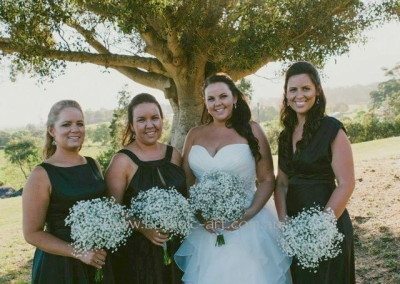 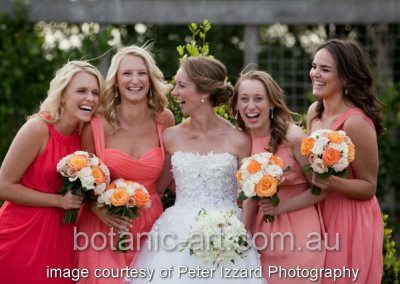 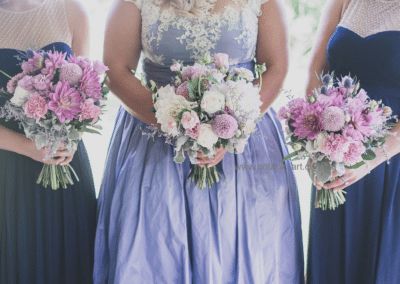 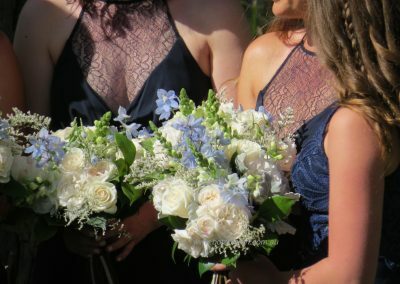 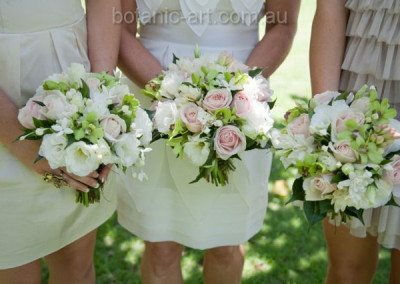 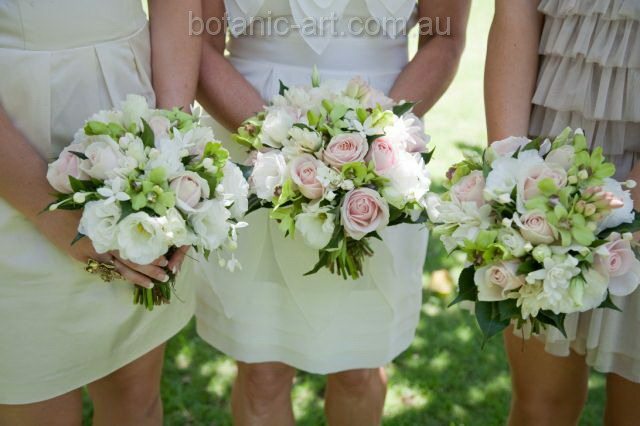 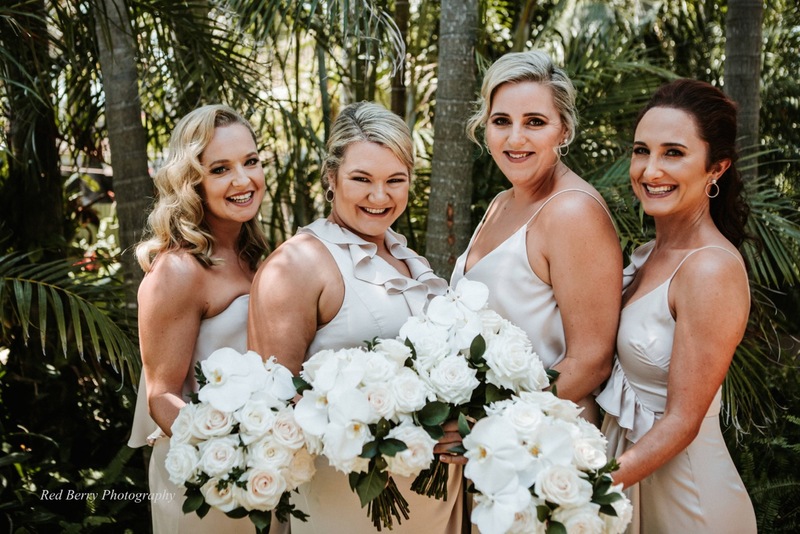 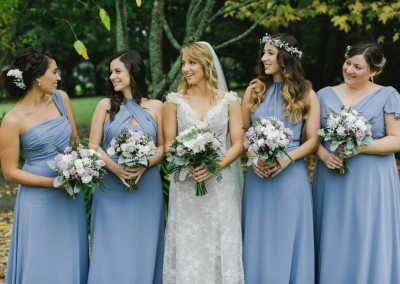 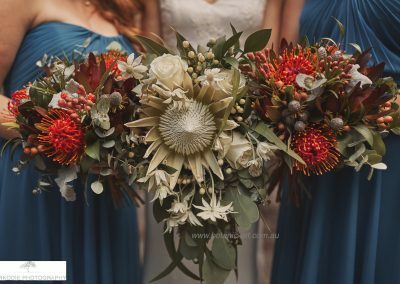 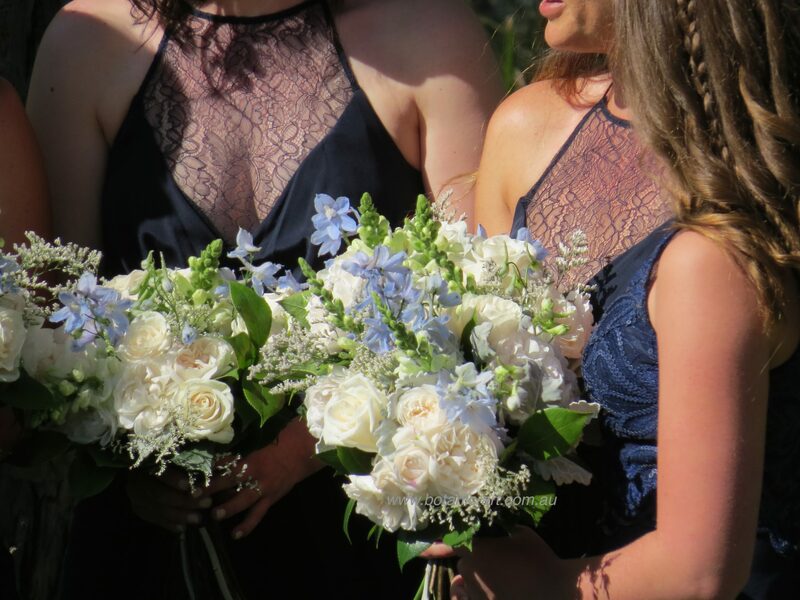 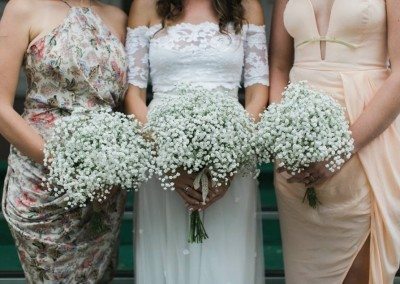 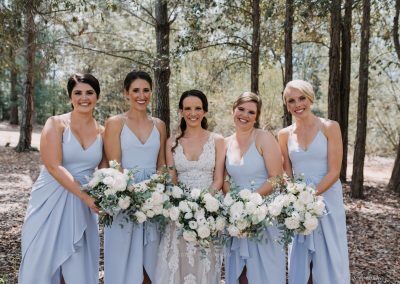 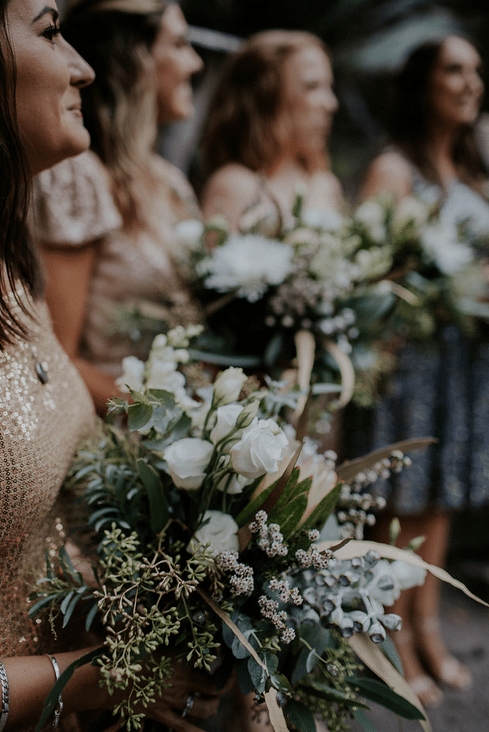 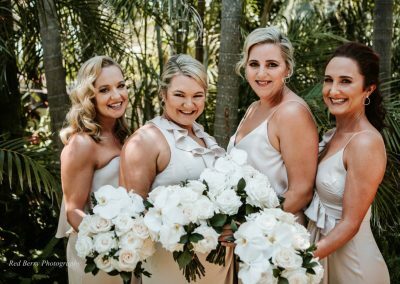 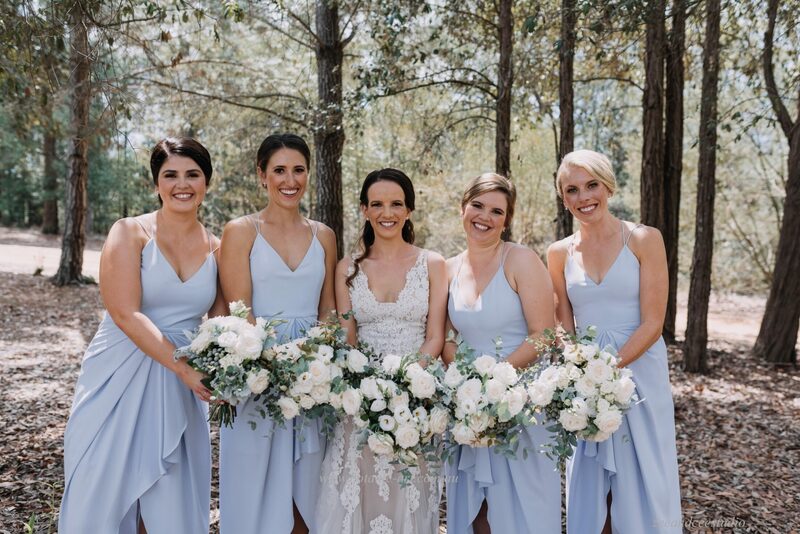 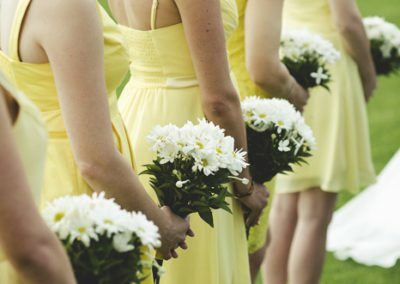 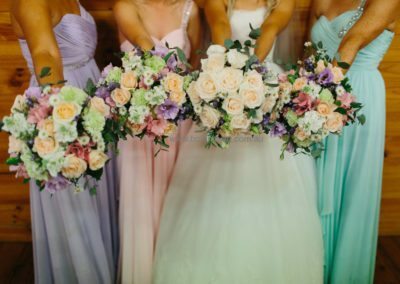 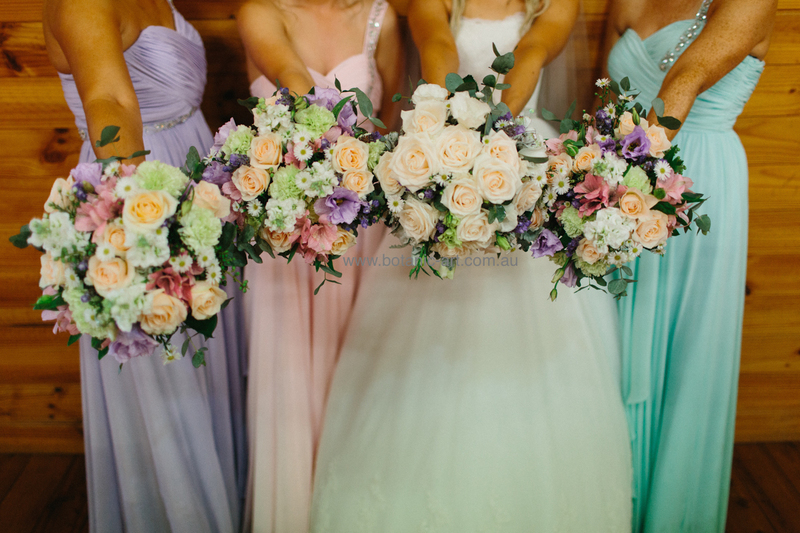 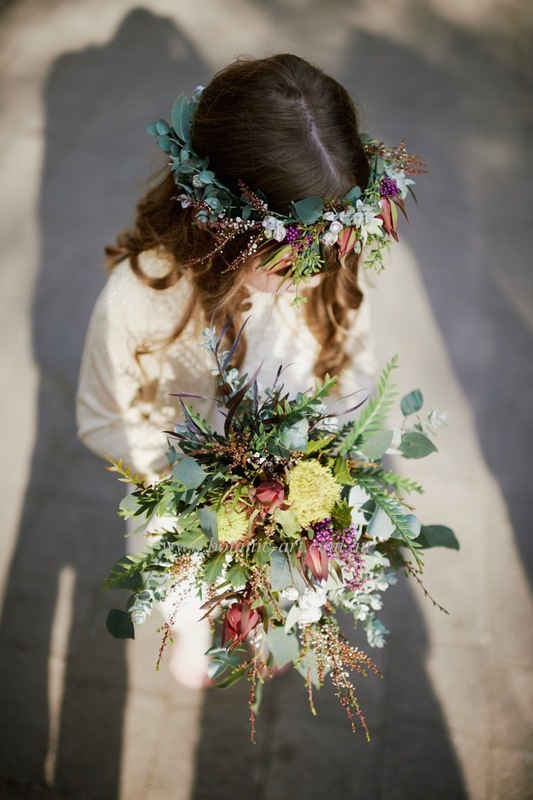 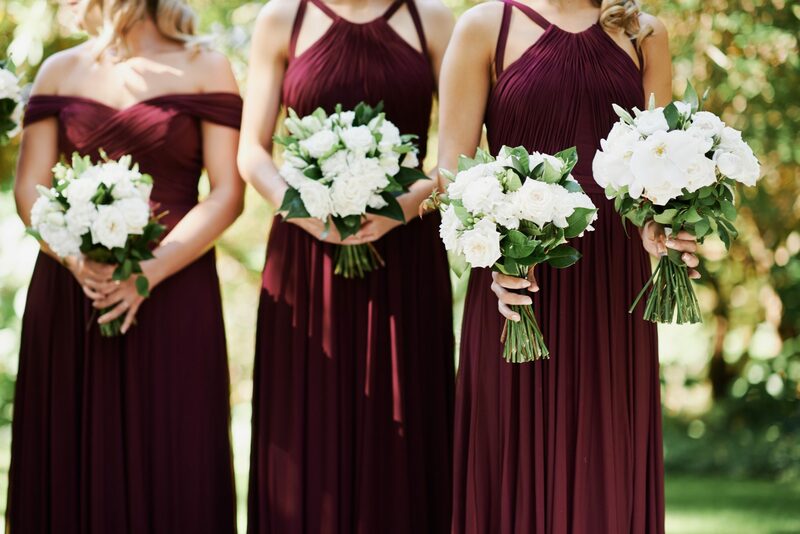 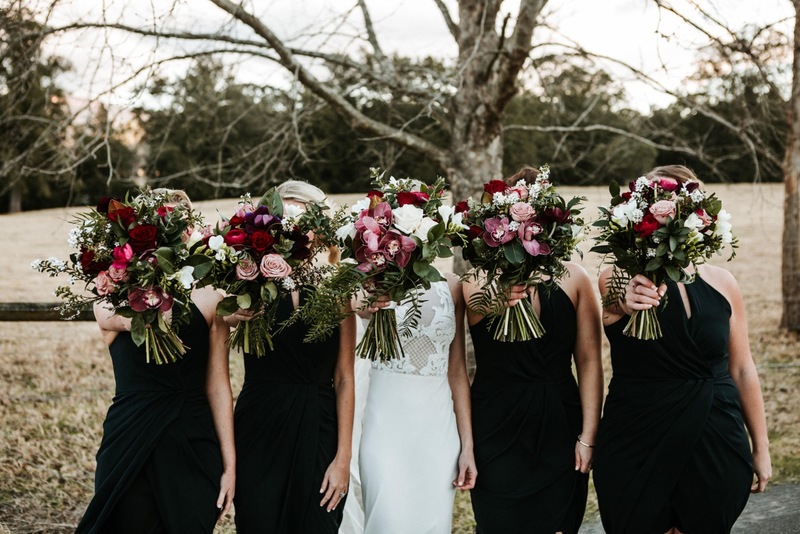 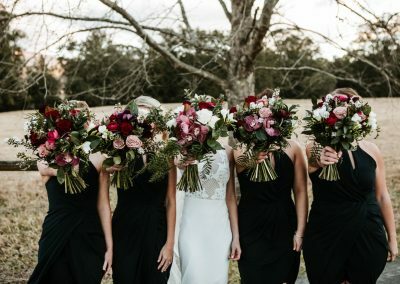 There are many options when it comes to choosing your Bridesmaids bouquets. 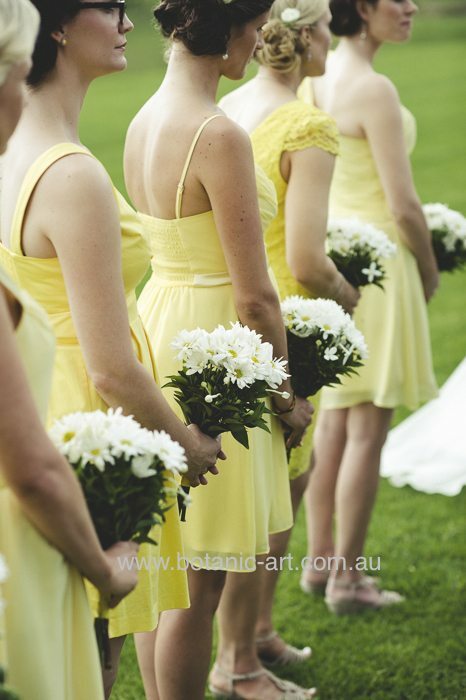 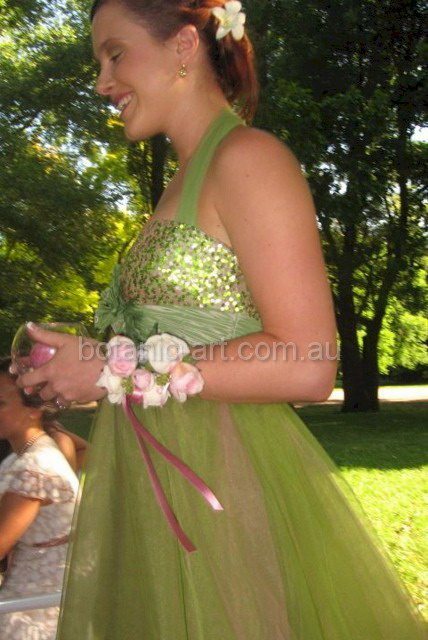 Their dress colour will play an important part in the decision of which flower colours are chosen. 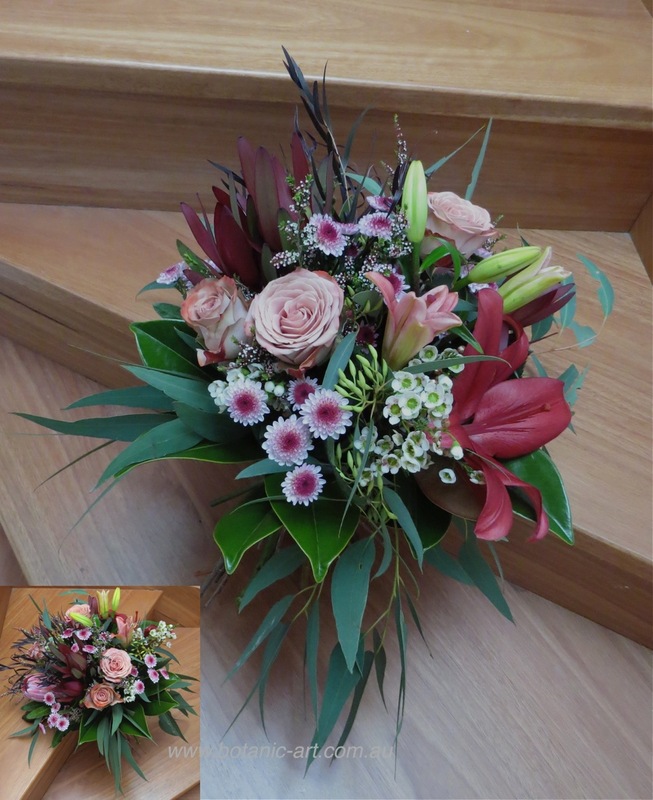 Flower colours can be contrasting for impact or complimentary to each other. 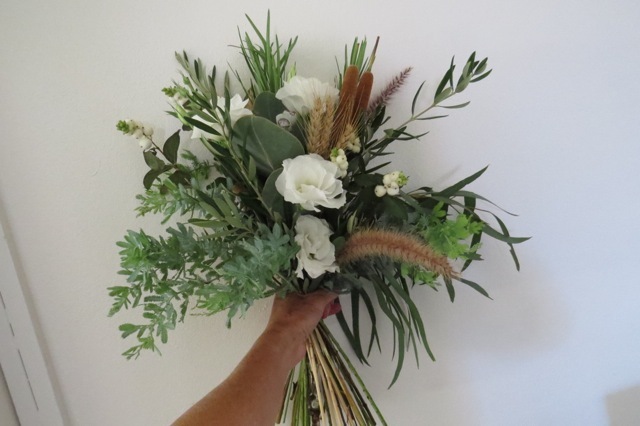 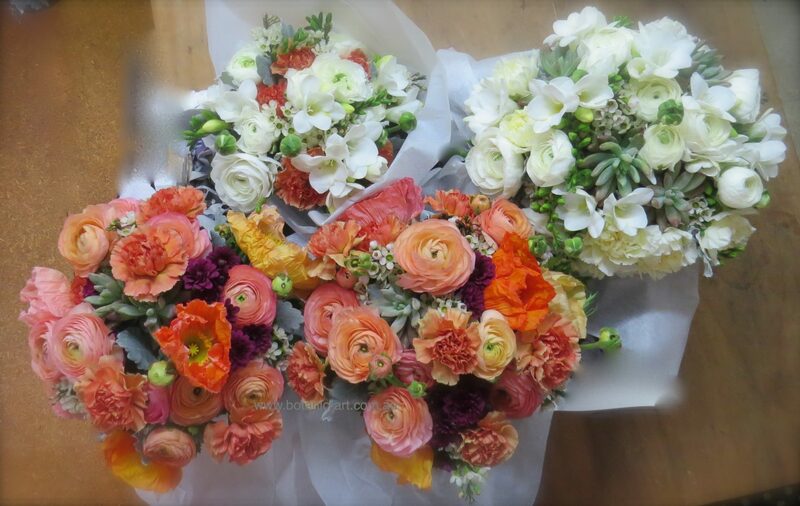 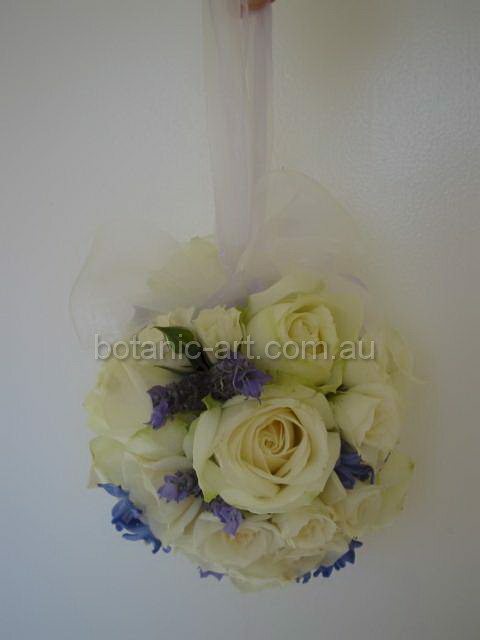 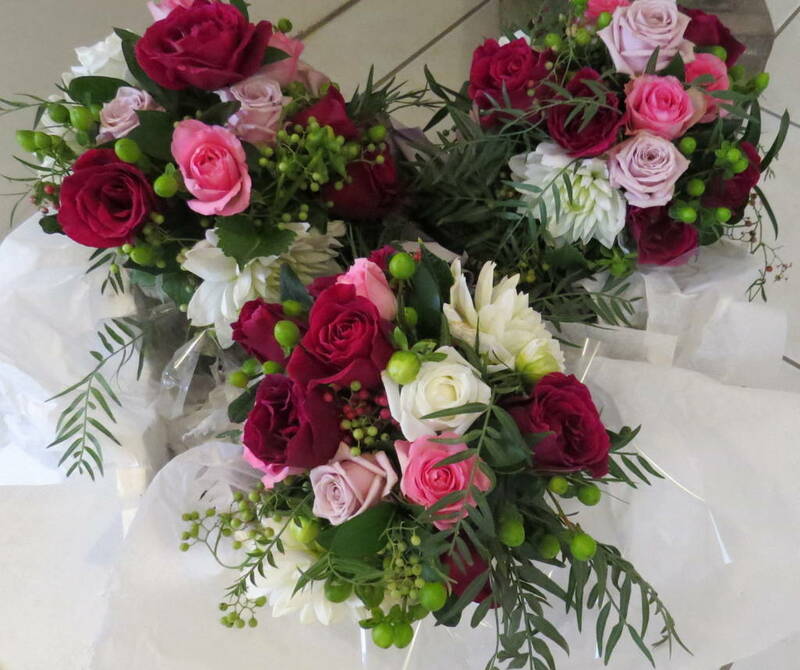 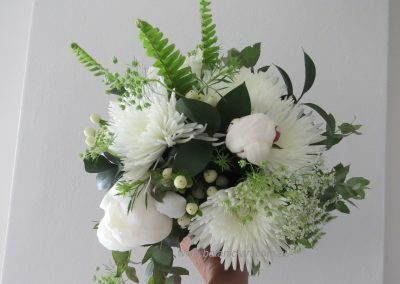 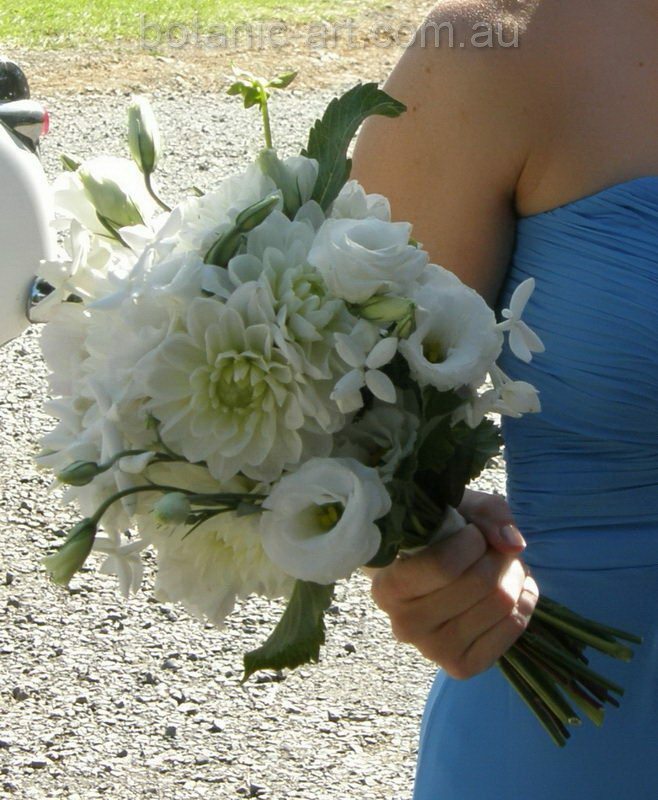 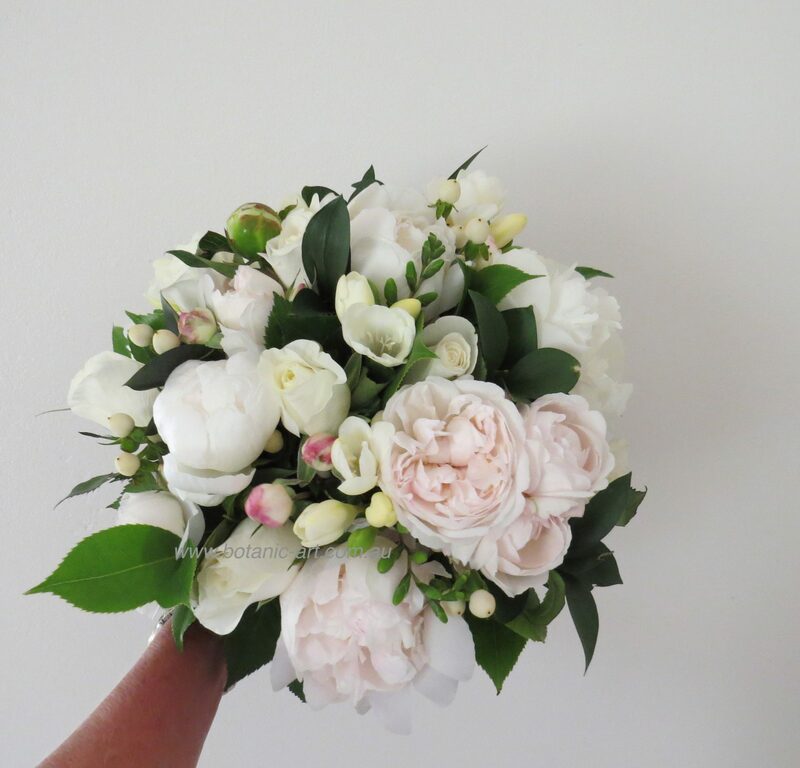 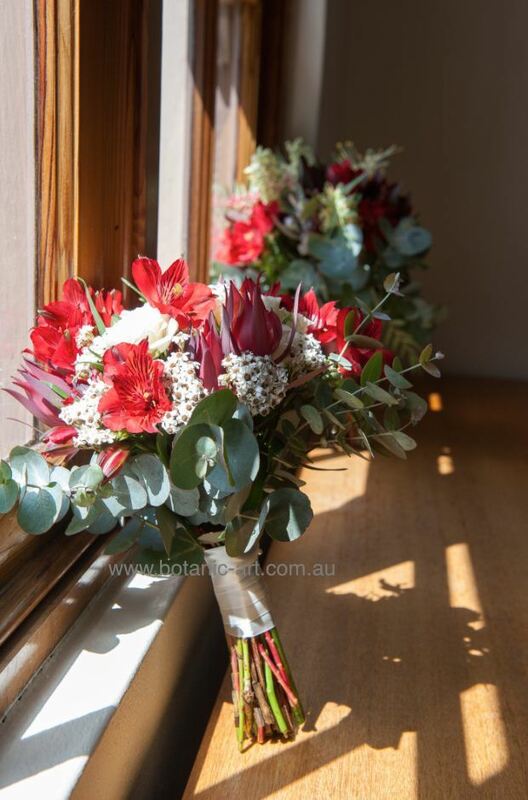 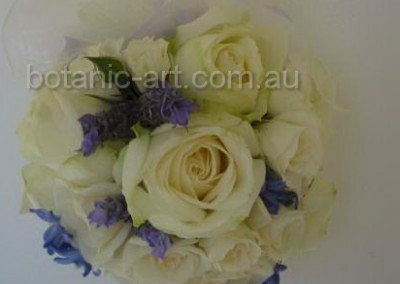 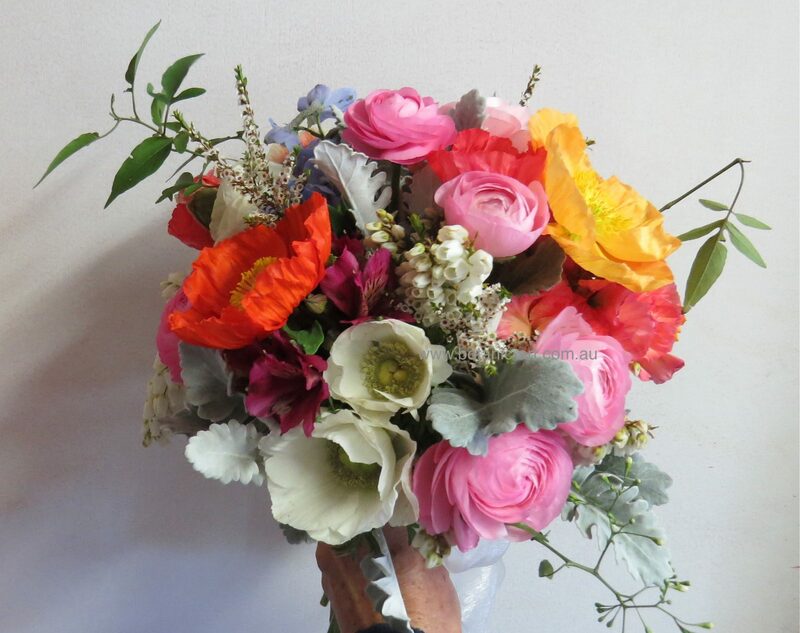 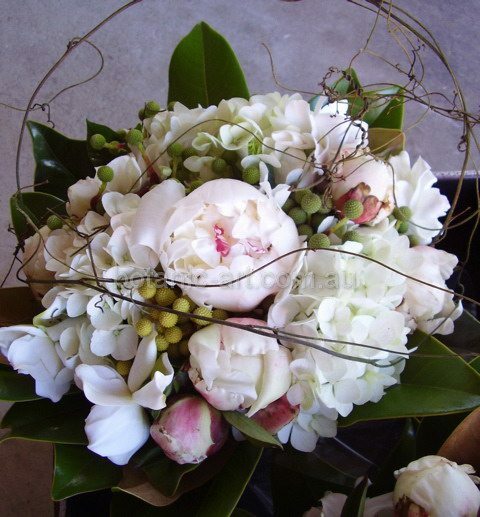 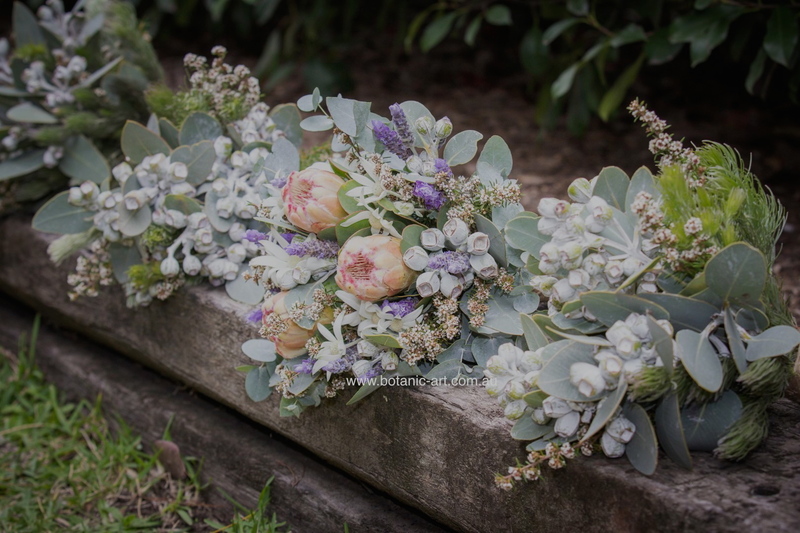 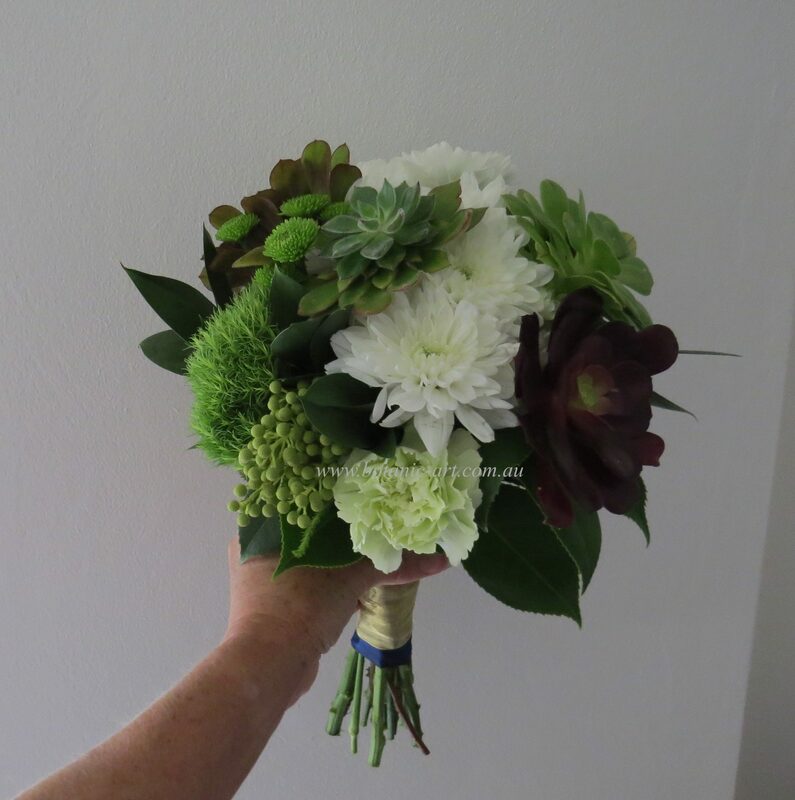 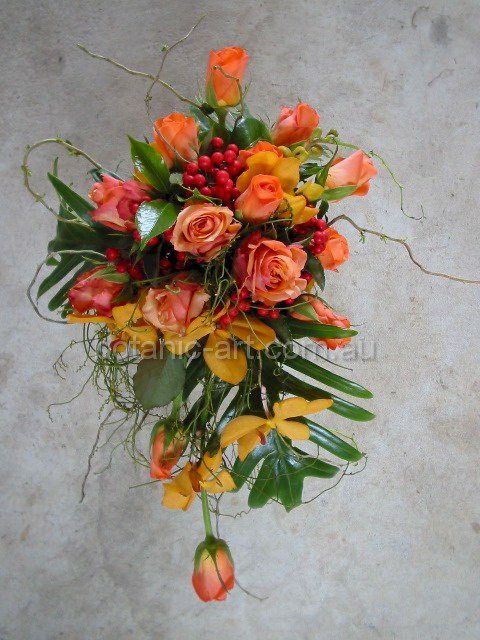 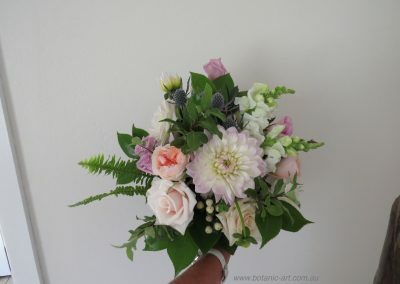 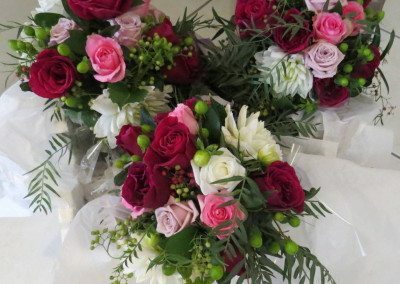 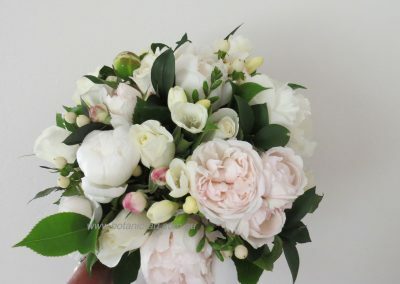 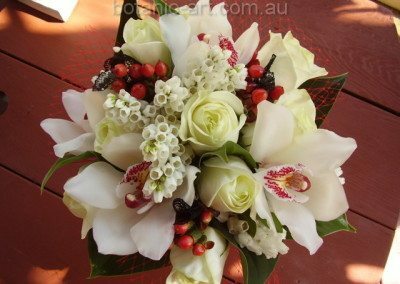 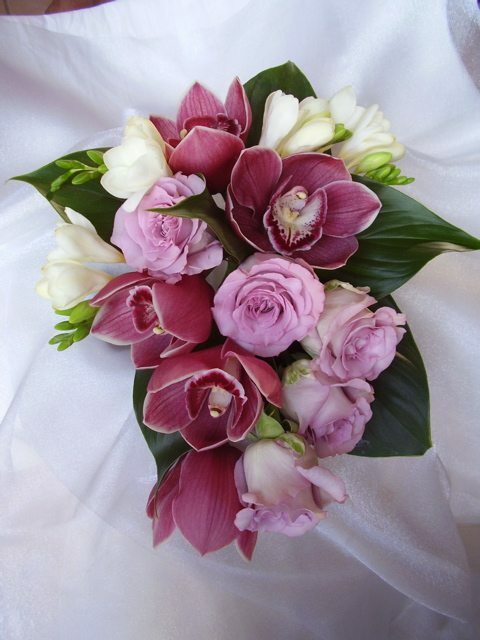 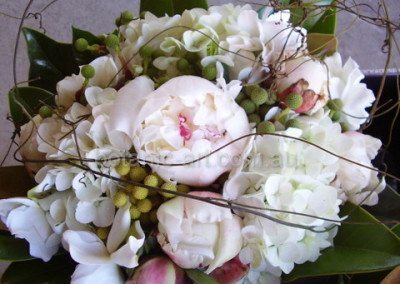 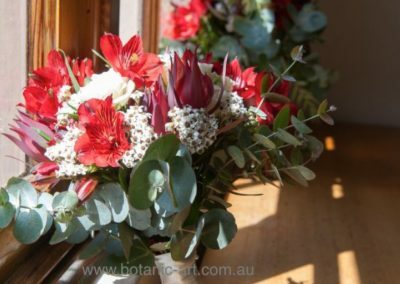 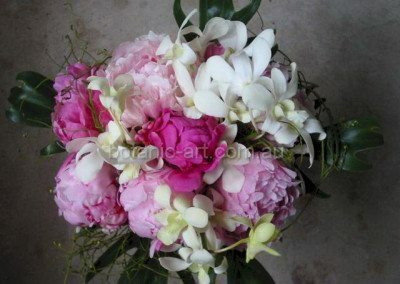 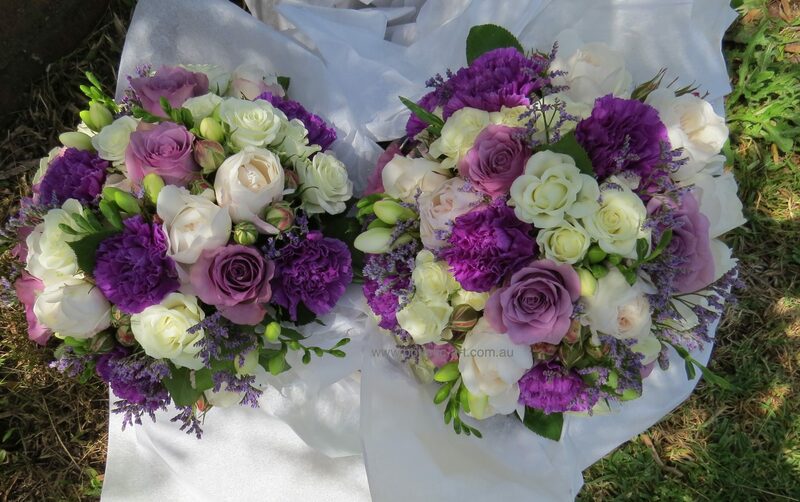 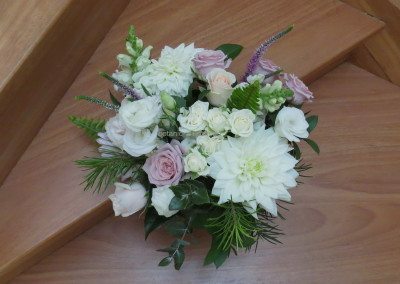 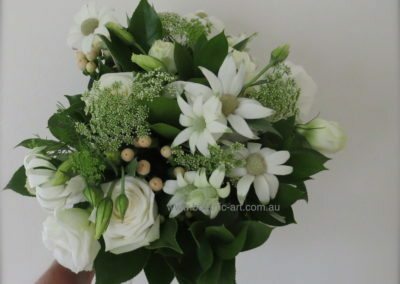 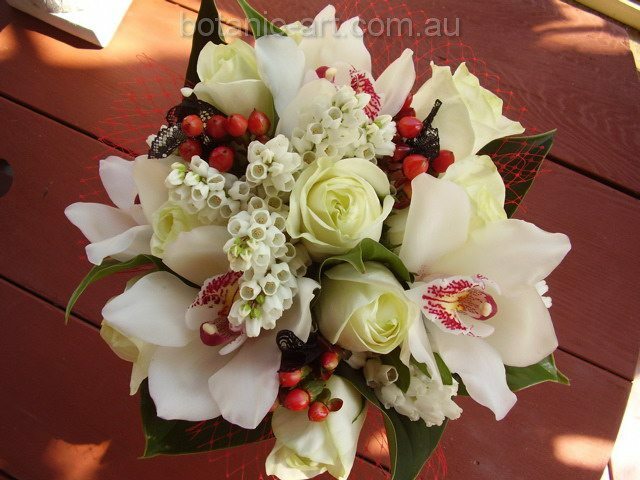 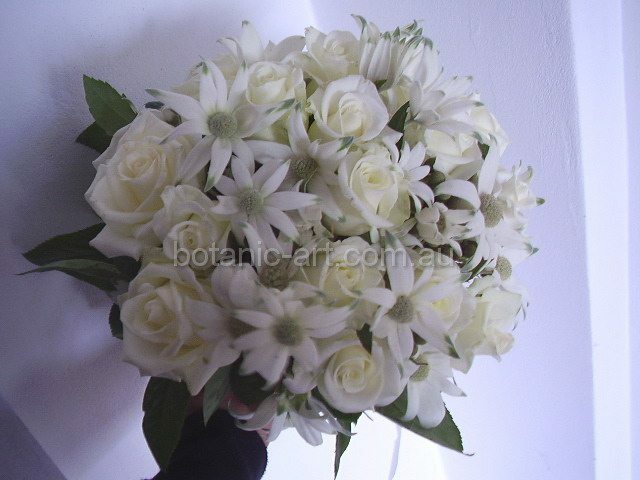 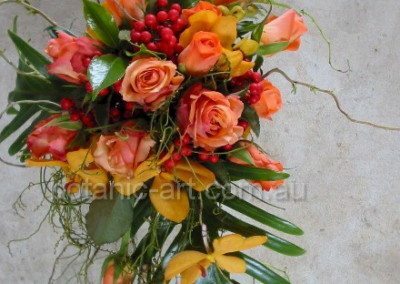 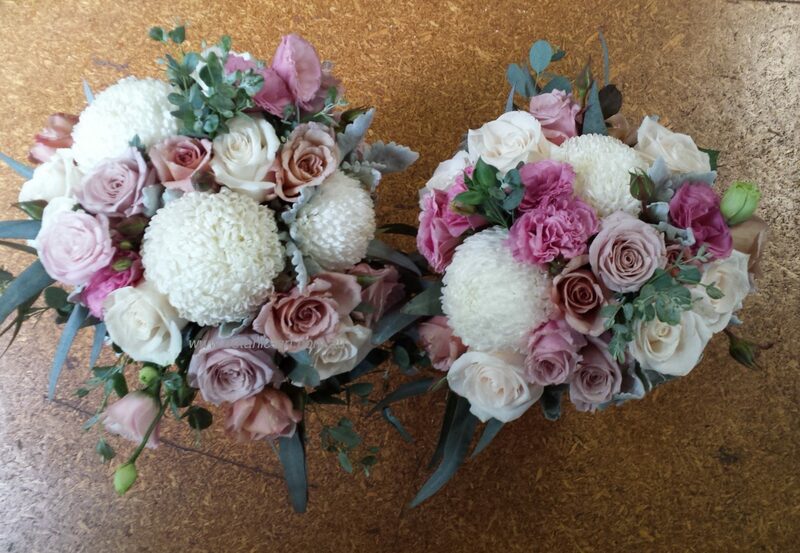 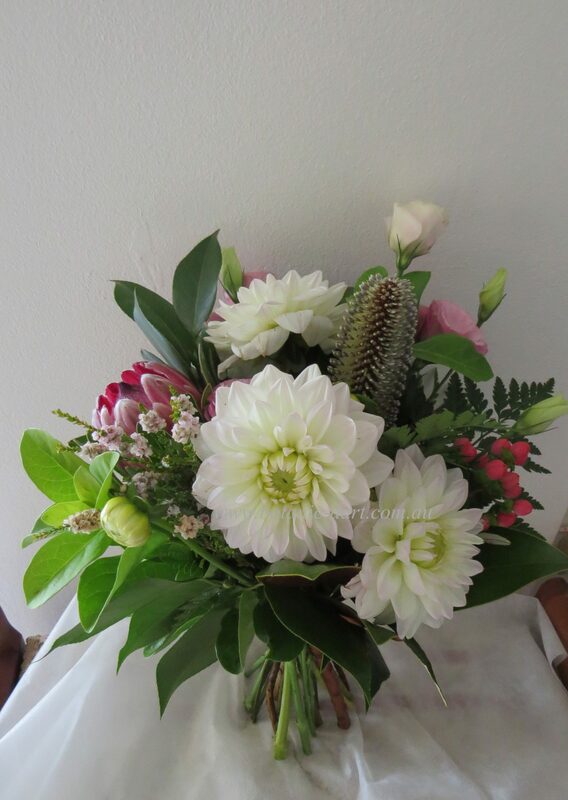 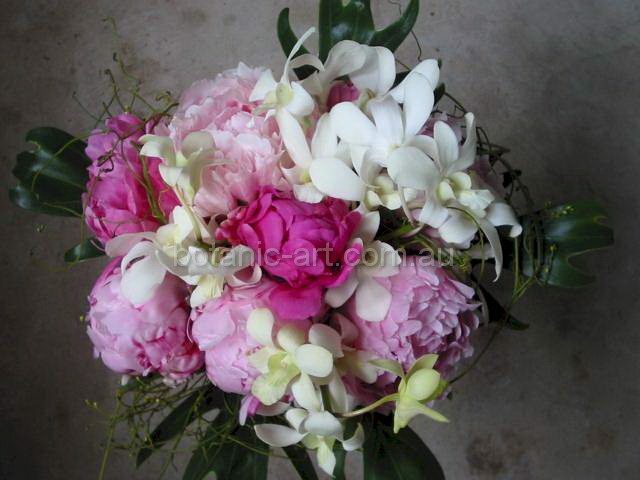 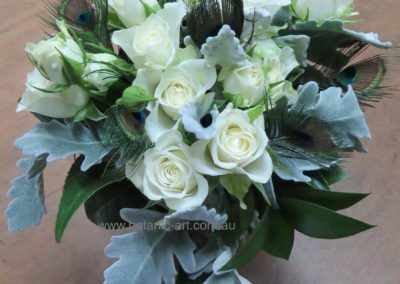 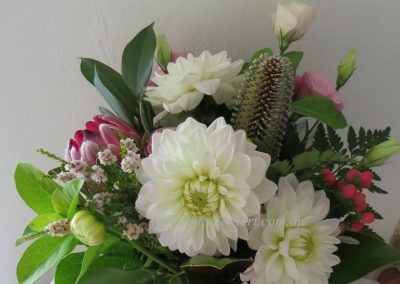 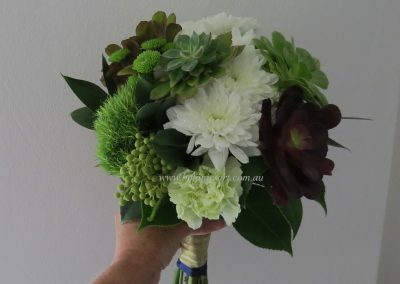 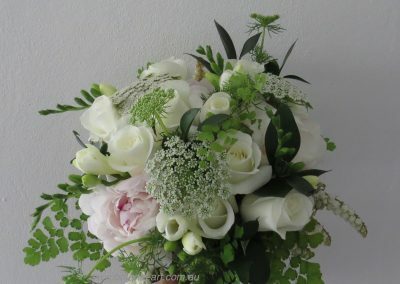 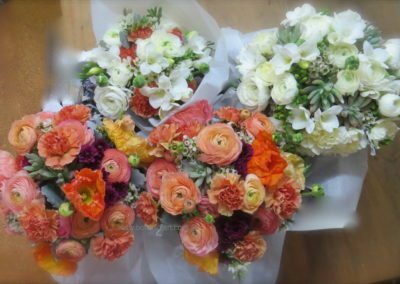 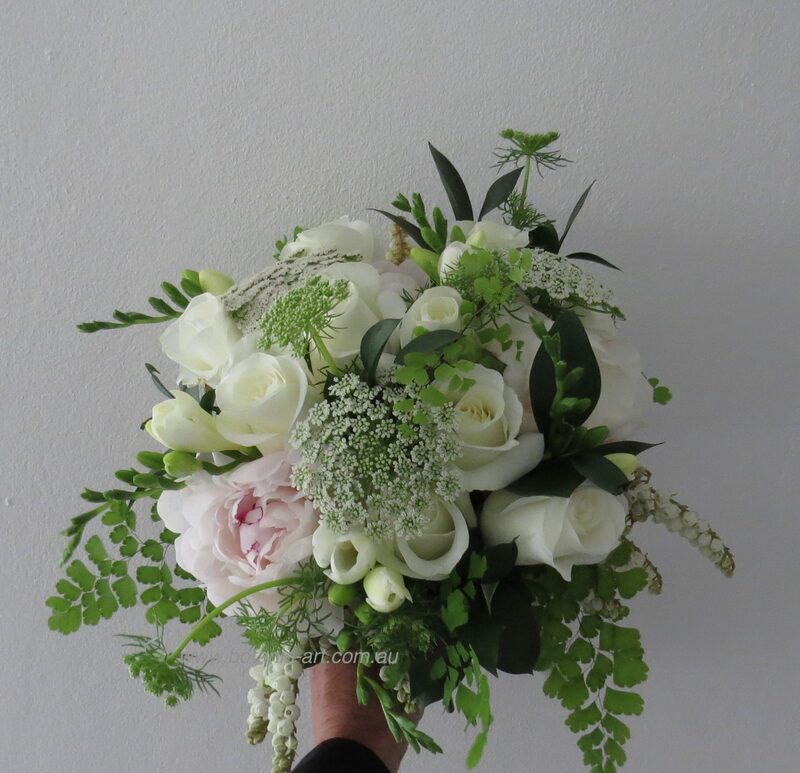 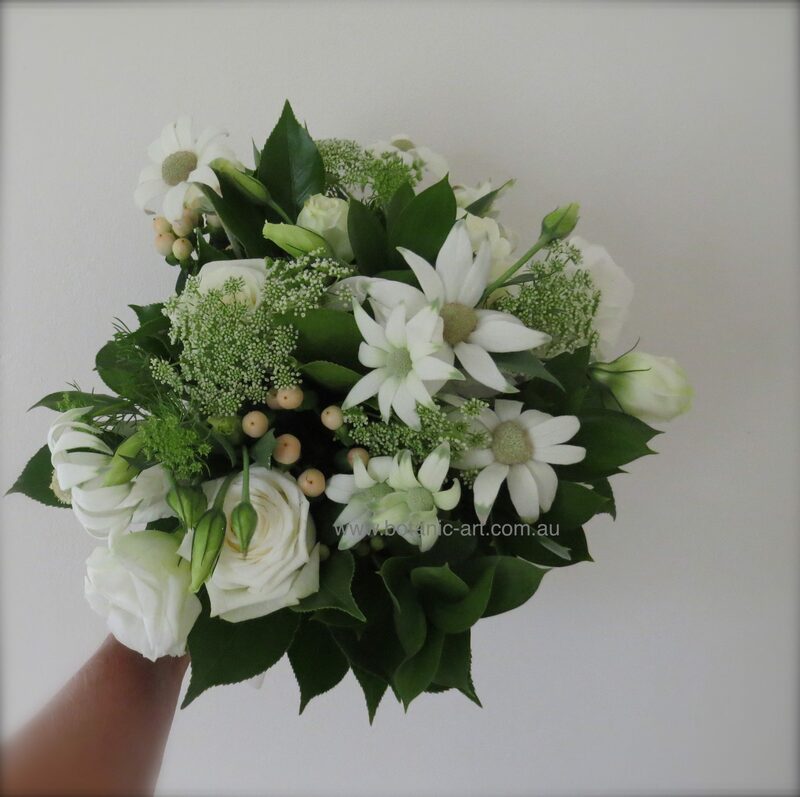 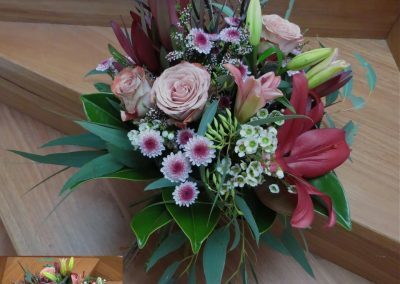 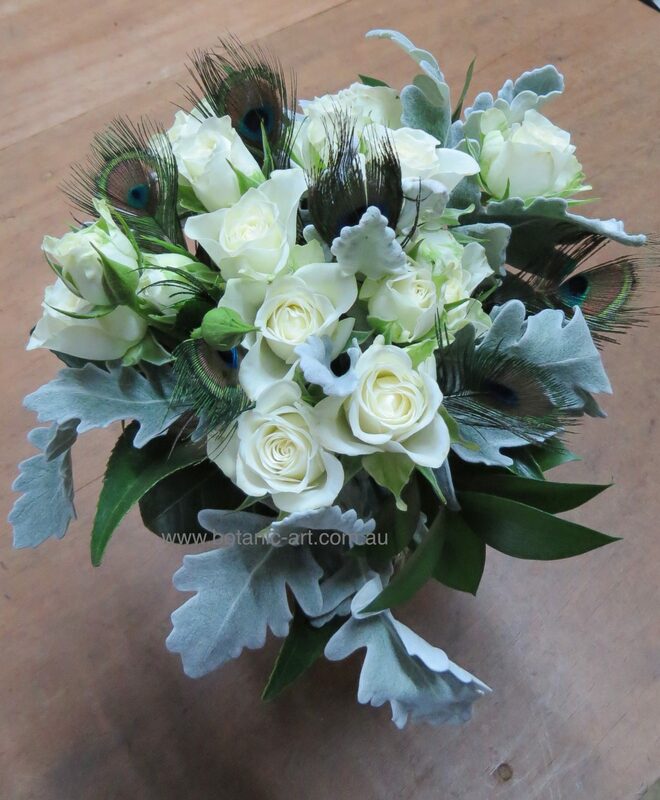 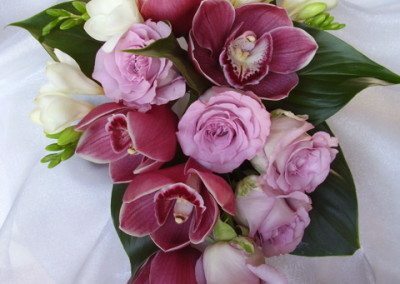 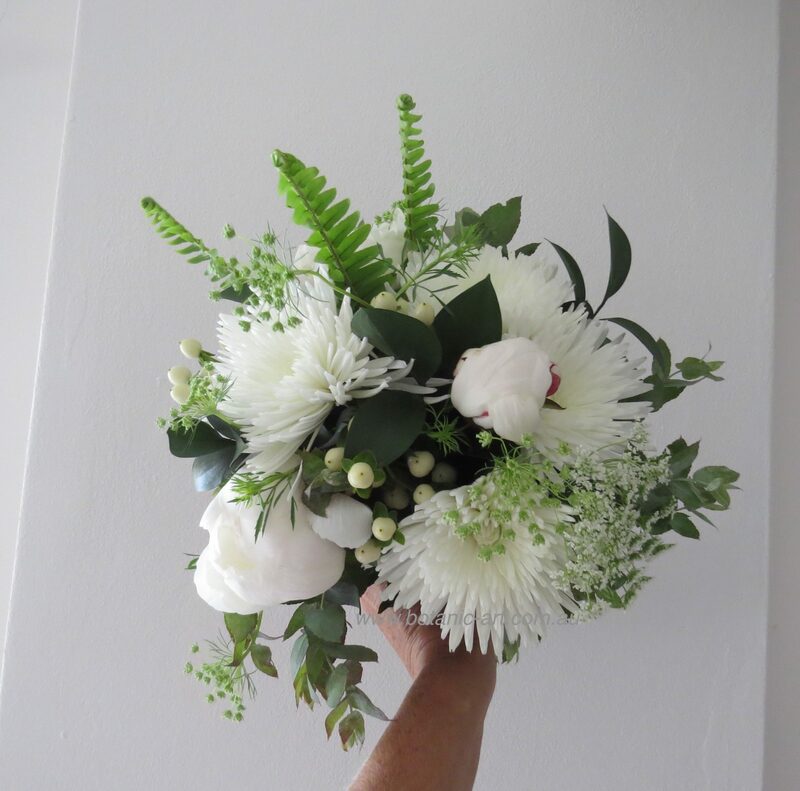 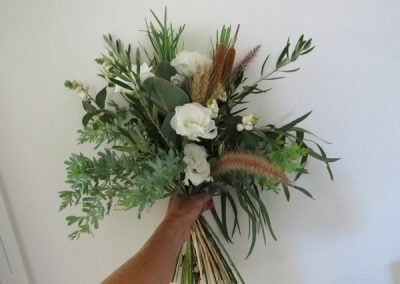 Their beautiful bouquets will be designed to compliment your Bridal bouquet as well as the wedding theme. 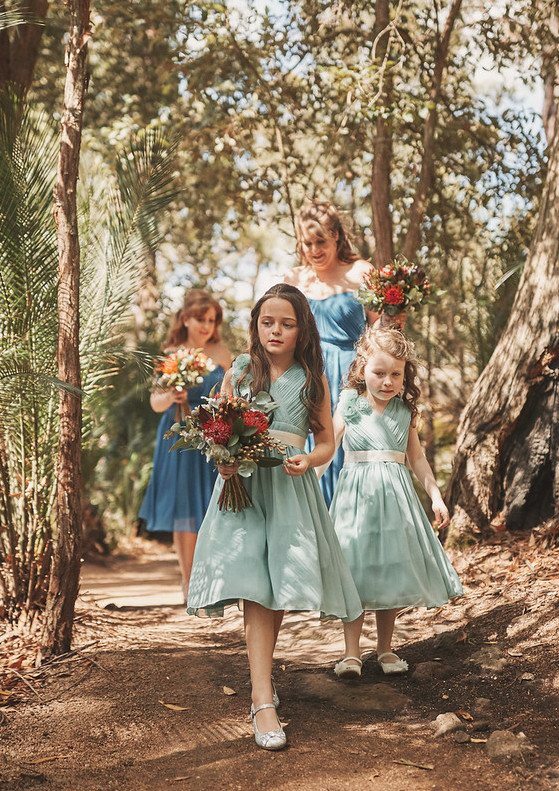 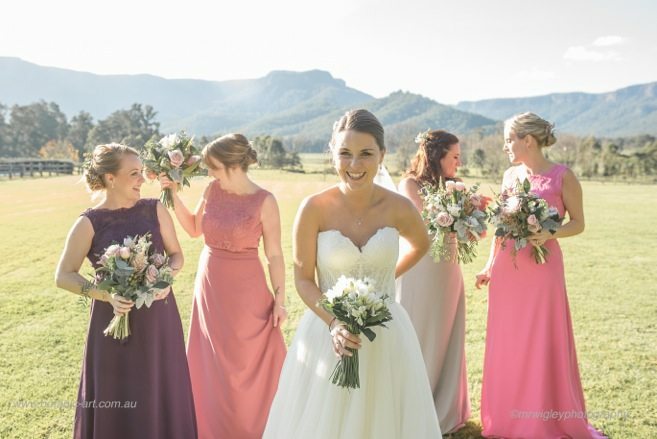 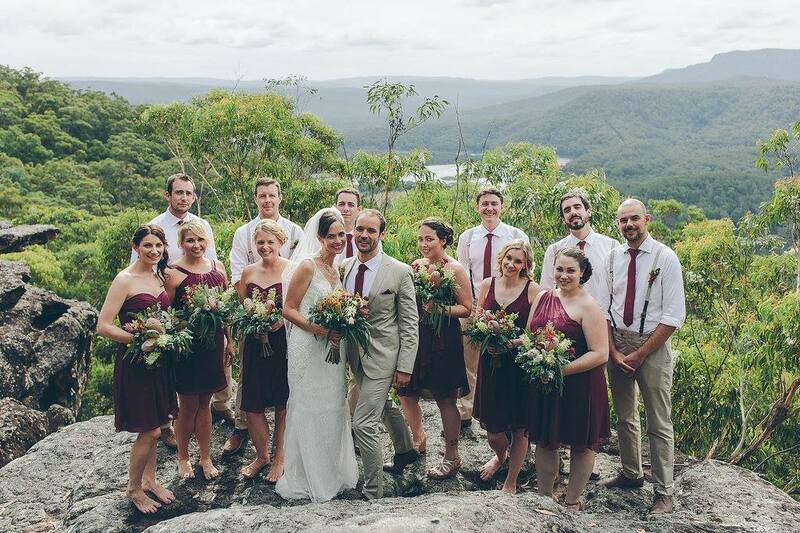 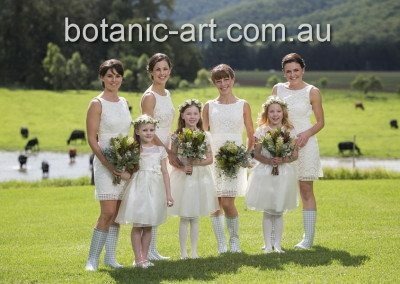 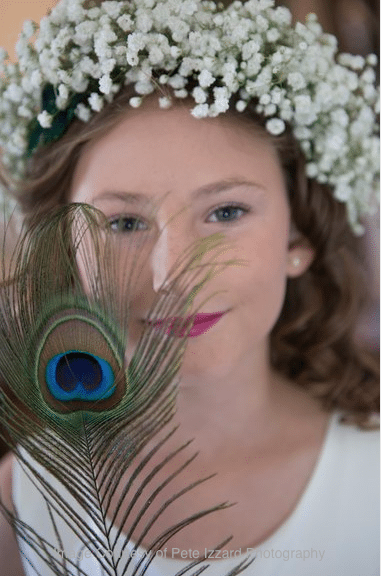 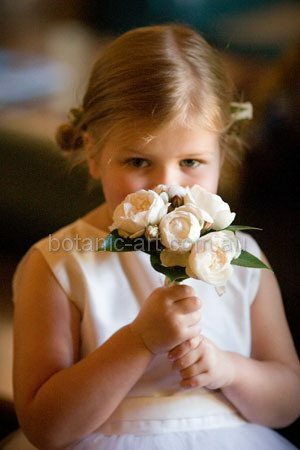 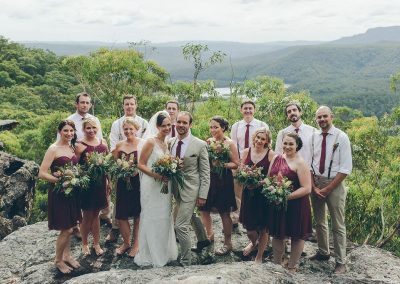 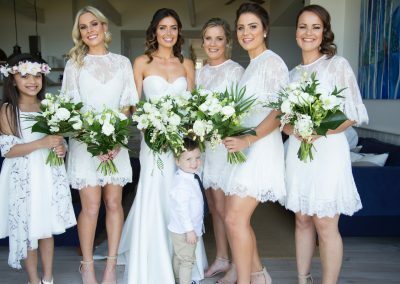 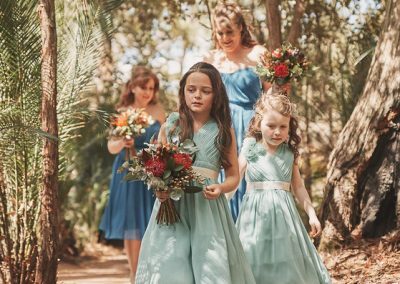 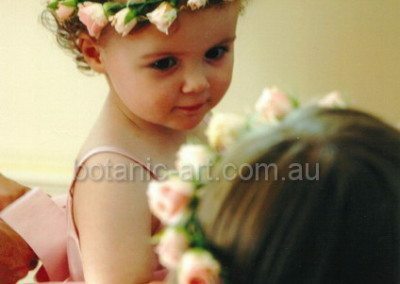 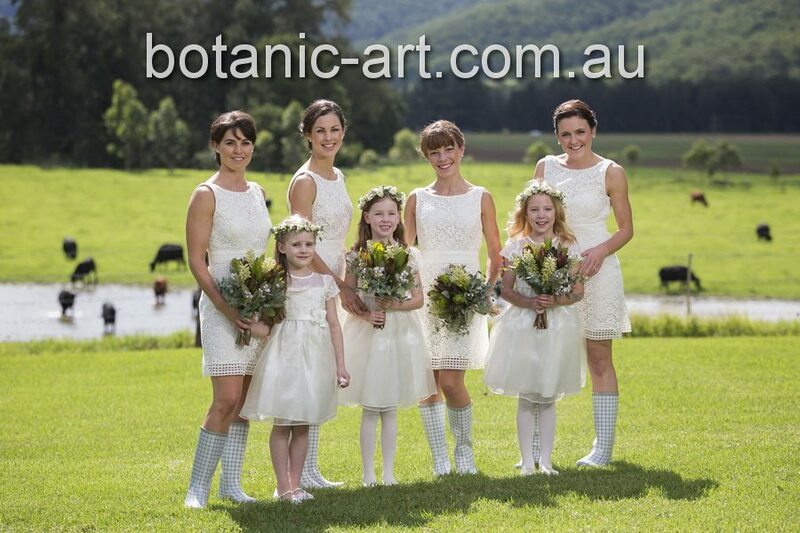 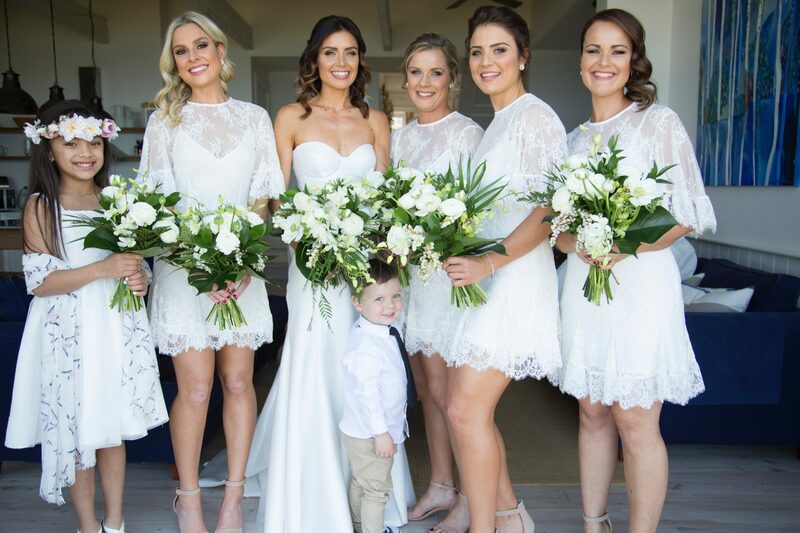 Flower Girls are also important, if they are part of your bridal party. 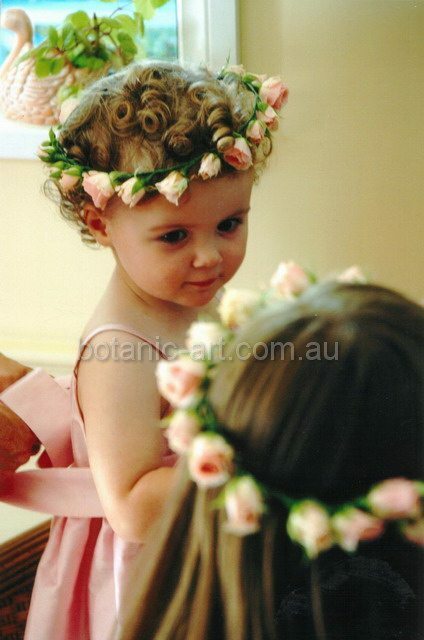 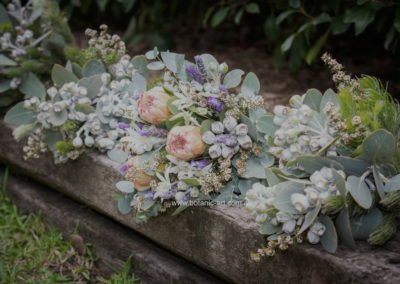 Their flowers can range from wrist corsages, to posies, flower hoops, flower crowns or a simple baskets with rose petals.